Health News: Nigerians have been advised to go for periodic medical screening, especially for colon cancer, which is said to be a massive burden on the country, as it is common among people above 40. The President, Society for Gastroenterology and Hepatology in Nigeria President, Professor Musa Borodo, gave this warning at a press briefing commemorating the 10th Scientific Conference and Annual General Meeting of the association in Ado Ekiti. And when the symptoms are obvious they are often too late to treat. According to him, about 10 percent of people in Nigeria are suffering from Hepatitis B – a viral infection – which he warned could lead to cancer, if not properly treated. Borodo lamented that two cases of cancer at end stage are reported daily in the treatment centre. He advised people to take natural foods, avoid refined sugar, eat well, exercise regularly, drink clean water, visit hospitals for routine checkup and stay away from smoking to avoid cancer. 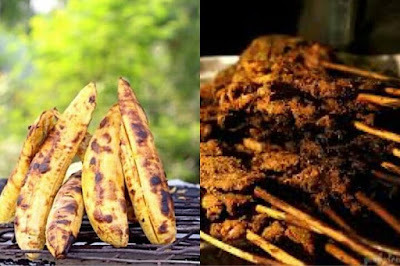 Stating some of the cause of cancer, the Chairman, Local Organising Committee for the conference, Dr. Deji Ajayi, cautioned against taking burnt/roasted boli (plantain), burnt suya and refined drinks as they could cause cancer.